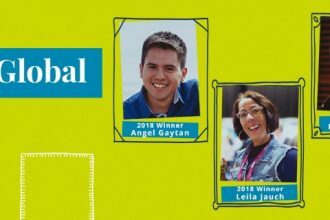 The aim of EFL Magazine’s Copernicus column is to share great examples of non-native speakers, and give students more exposure to what English sounds like in different parts of the world. 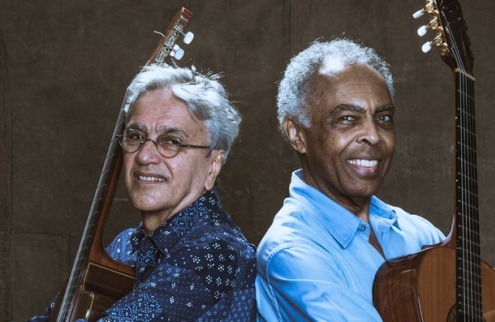 This month we’re off to Rio de Janeiro to meet “two giants of Brazilian music … now celebrating 50 years of separate careers that have always intertwined”: Caetano Veloso and Gilberto Gil. A few months ago Julia Carneiro, a Brazilian correspondent for BBC News, talked to them before they left for a European tour called “Two Friends, a Century of Music”. JC: I’d like to know first how interconnected your careers are, and what has Gilberto Gil brought to Caetano Veloso, and what has Caetano Veloso brought to Gil? CV: He brought me everything. Because if I play a little guitar nowadays it’s because I saw him playing, and I just copied his movements and tried to understand what they meant musically. GG: And if I have deepened my curiosity about the words – you know, about poetry – and words and music, it’s absolutely because of him. He’s one of the most profound persons that I have ever met. GG: God? God, no. Man! JC (VOICEOVER): As young artists, Caetano and Gil – as everyone knows them here – revolutionised Brazilian music, as central figures of the Tropicália movement in the late 1960s. They broke musical boundaries, embracing foreign influences like rock and the electric guitar, and experimenting radically. GG: It was a very, very, very busy time for us in terms of collecting ideas and feelings and sensations, and putting it all, mixing it all, in terms of music and poetry and text and behaviour. And so, finally, got a ‘brand’ on the cultural times, you know? JC (VOICEOVER): The Tropicália movement was cut short by the military dictatorship. It hardened its rule in 1968, and Caetano and Gil were sent to prison, and soon forced into exile. London was their home in exile for two-and-a-half years. CV: I found it dark and distant and isolated from the world, the way it felt back then. And er… but also we knew that music there was very interesting. We were in love the Beatles and the Rolling Stones, and we knew – we were aware – of what was going in London musically. Gil felt better. GG: I felt, I felt better basically because of culture, and especially music. I’m very easy to, you know, mangle with musicians. And at home also we used to have people, musicians and poets and writers, film-makers, and that kind of thing. (1) Copy & paste the above transcript and make a gap-fill listening exercise. Hand out the words on a piece of paper, and tell students you will play the song one time. After that, they will turn the piece of paper face down, and see how many lines or words from the song they can remember and write down. “Why is music so exciting and so moving?” asks Amanda Gillis-Furutaka of Kyoto Sangyo University. “Why should we pay attention to using music more creatively in class, not simply focusing on the lyrics or accompanying video of a song?